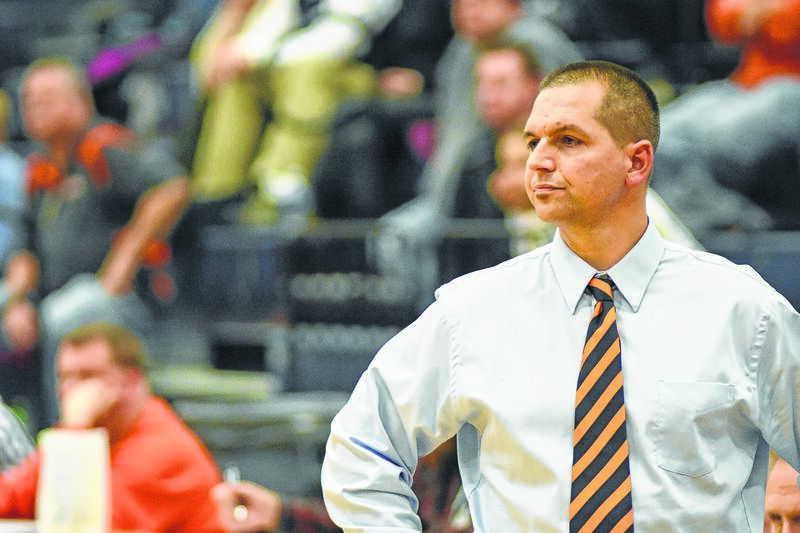 GALION — After his third season, Matt Valentine has resigned as Galion High School’s boys basketball coach. His overall record is 19-50. The search for a new coach will start immediately. Valentine, a Galion High School graduate, guided his team to an 8-15 record this season. He was 8-15 last season. He volunteered to take over the boys basketball coaching job just two weeks before the 2016-2017 begain. His team was 3-20 in his first season as coach. “I appreciate Matt taking the job at the last minute and his commitment to his players,” Galion City Schools superintendent Jim Grubbs said. Valentine informed Galion High School Athletic Director Kyle Baughn that he would be open to staying on the staff as an assistant coach, but sited increased work responsibilities as his reason for resigning. Baughn said he will be opening the search immediately to find the next head basketball coach for the boys program.